Ecosystem-based management (EBM) is an approach New York has used to guide land use and development decisions affecting the state’s coastal areas and their watersheds. The NYS Department of State selected EcoLogic to assist with the Agency Guidelines portion of the EBM initiative. We worked with senior staff of the nine participating state agencies, each with a distinct mission related to environmental quality and economic development, as they evaluated existing programs and considered modifications to reflect EBM principles. 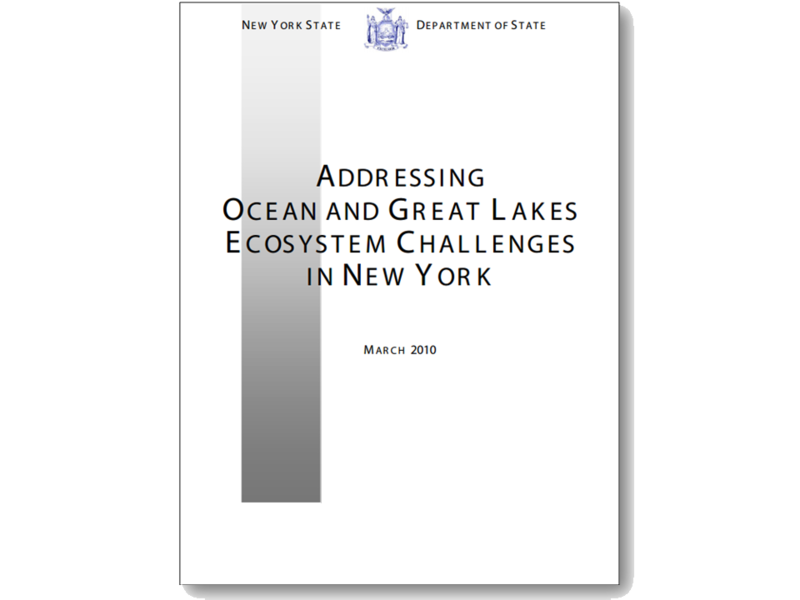 The product of this effort was incorporated into a report to the Legislature on Addressing Ocean and Great Lakes Ecosystem Challenges in New York.